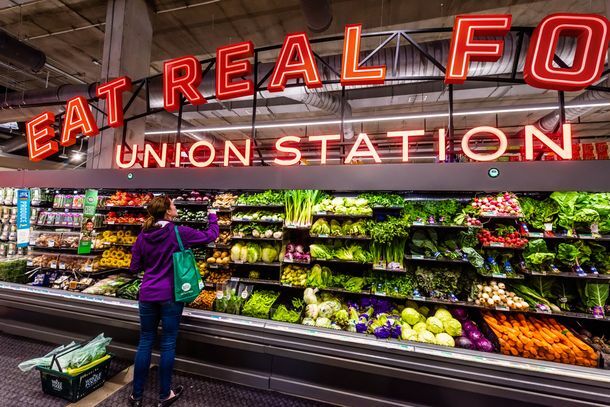 Whole Foods Dropping Prices on a Truly Random Assortment of FoodsIncluding lots of produce. Of Course Whole Foods Should Sell MarijuanaGet your asparagus water and your legal marijuana all in the same place. 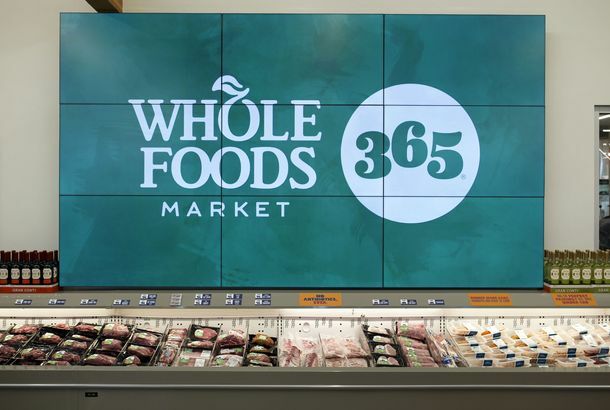 Whole Foods Will Kill Its ‘365’ Stores Once and For AllThe grocery chain will convert all of its budget-minded locations into “regular” Whole Foods branches. Whole Foods Planning to Pick Over the Corpses of Dead Sears and KmartsThe Amazon-owned company is reportedly eyeing locations in less densely populated midwestern states. Welcome to the Golden Age of Grocery ShoppingBrutal competition and advancing technology mean better food, lower prices, and loads of convenience. Whole Foods Is Now Rolling Out Its Prime Discounts NationwideThe member perks expand to 121 more stores in 15 states. Whole Foods Discounts for Amazon Prime Members Start TodayJeff Bezos would like to reward you for your loyalty. Is Whole Foods Preparing to Give Amazon Prime Members 10 Percent Off?A new report indicates that the company is about to give Amazon Prime members access to cheaper groceries. Amazon Will Discontinue Whole Foods’ Loyalty Program in Two WeeksStarting May 2, the grocer will begin shifting rewards and coupons over to Amazon Prime. Whole Foods Teases Plan to Give Amazon Prime Members a 10 Percent DiscountSigns in Austin advertised “special deals just for” Prime account holders. Is Kroger About to Merge With Target?Amazon fears may have two of America’s largest grocers aiming to join forces. Whole Foods Is Scrambling to Stop an Angry Vendors’ RevoltBoth national and smaller brands are upset about new merchandising fees. Amazon Reportedly Merging AmazonFresh With Prime Now for Grocery DeliveryThe company makes a move to streamline its food-delivery options. Amazon Is Testing Two-Hour Deliveries From Whole FoodsIs this the beginning of the end of actual grocery stores? It’s Reportedly ‘Normal’ to See Whole Foods Employees Crying These DaysThe company’s controversial new inventory system is apparently to blame. Amazon Is Now Selling Discounted Gadgets in Whole Foods’ Parking LotsKeep an eye out for Treasure Trucks! 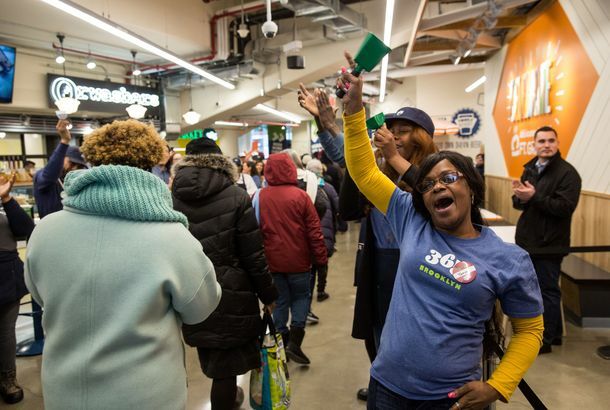 New York’s First Lower-Priced Whole Foods 365 Store Will Open Next WeekThe new shop is on the border of Fort Greene and Downtown Brooklyn. 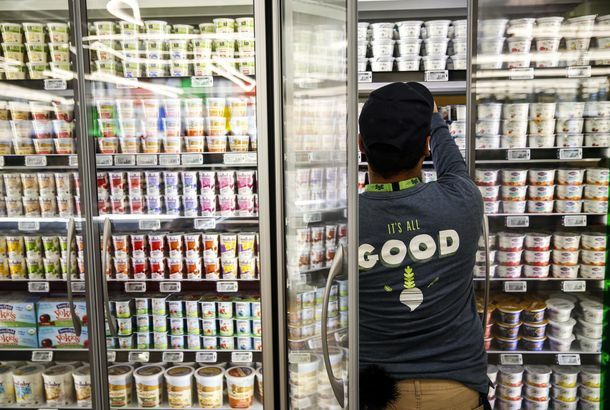 What’s the Real Reason Whole Foods’ Shelves Are Always Empty?Staffers say a “militaristic” stocking system — put in place just before Amazon’s purchase — causes headaches for customers and employees. More People Say They’re Finding ‘Entirely Empty’ Shelves at Whole FoodsThe gripe comes as local vendors also complain that they’re being pushed aside for national brands. What to Know About Food-Waste Start-up Backed by Grocery Industry’s Top PlayersBigwigs tied to Walmart and Whole Foods think it could actually turn a profit reducing food waste. Ongoing Price Wars Give Grocery Shoppers Lowest Thanksgiving Prices in 5 YearsJust about everything is cheaper this year, from turkeys on down. Amazon Cuts Whole Foods’ Prices Again Ahead of ThanksgivingIt’s also rewarding Prime members with an extra 20 percent off turkeys. Amazon Is Scaling Back Its Fresh-Food DeliveryBut it will keep operating in big cities like New York and L.A.
Prices at Whole Foods Are Already Creeping Back UpThe cost of dairy and frozen foods has actually increased since Amazon’s takeover. Whole Foods Warns Shoppers of a Data BreachPayment systems at certain taprooms and in-store restaurants were compromised. Whole Foods Promises Shelf Space to Bulletproof’s New Bottled Butter CoffeeYour favorite “brain-octane” drink now comes in 12-ounce cartons of cold brew. Is Amazon Just Using Whole Foods to Unload Outdated Echos?The device is suddenly no longer for sale online. Go Get Whole Foods’ $2 Avocados While You Can!It’s falling hook, line, and sinker for their PR ploy, but might as well, right? Walmart Opened an Organic Fast-food Restaurant Inside One of Its SupermarketsThe company that sells Larry the Cable Guy chips has entered the “slow food for fast people” business. Big Poultry Now Supplies a Surprising Amount of Whole Foods’ ChickenOdds are high that Perdue or Tyson processed the 365-brand meat. Here Are the People Who Could Stop the Whole Foods–Amazon DealShareholders have a class-action lawsuit, and a congressman wants to hold a hearing. Whole Foods Doesn’t Have a ‘Tinder Relationship’ With Amazon, Its CEO ClarifiesJohn Mackey is quite infatuated with his new boss. Alice Waters to Amazon’s Jeff Bezos: You Can ‘Change Our Food System Overnight’She has something to say about the online retailer’s purchase of Whole Foods.